"'Jock Itch' Cop in Gay Flap Quits"
One of the best things about NYC? 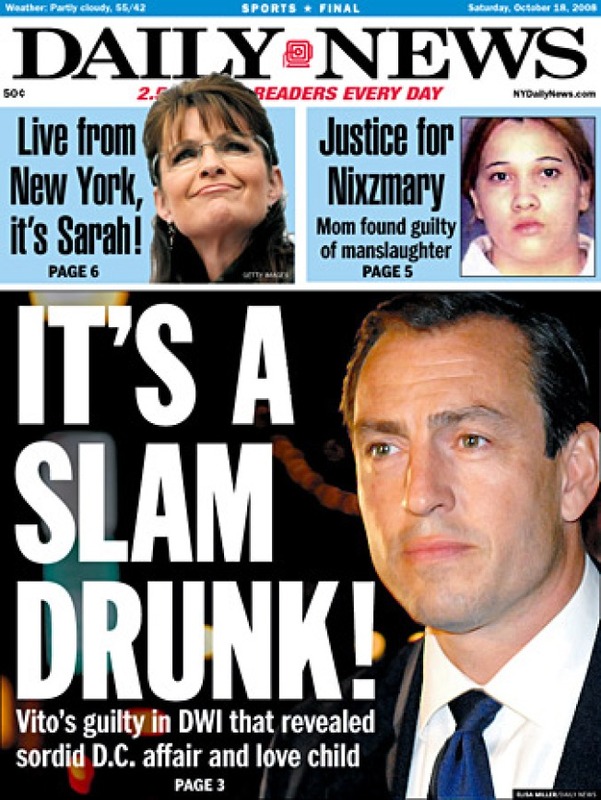 The headlines at the Daily News and the NY Post. The way each syllable trampolines off the tongue -- masterful. Have you ever read such a sentence? Nabokov's rolling in his grave -- with envy. Oh, and read the story, too. The cop called out for "rubbing his crotch, simulating masturbation and wiggling his tongue" at a klatch of NYPD recruits is trying to pin it on a bad case of jock itch. The rubbing and waggling we get, but simulated masturbation? Maybe it was reiki, the Japanese art of healing without touching.